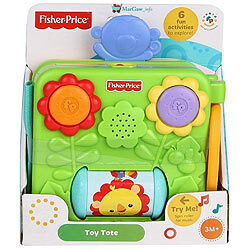 Take Along Toy Tote from Fisher Price. b) It is easy to carry because it is foldable & can be carried to places where the baby is moving to. d) Makes the kid happy with Light Music.